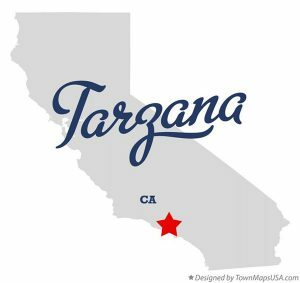 Named after the fictional jungle hero “Tarzan,” Tarzana is a neighborhood in the San Fernando Valley whose residents we are proud to serve! Air Products & Services offers a wide variety of heating, cooling and air quality services to residential and commercial customers in Tarzana. Our team is committed to providing high-quality replacements, repairs and maintenance if something goes wrong with your HVAC system. You can rely on Air Products & Services to provide you with the level of care and detail that you deserve. Being from Southern California, we understand how frustrating it can be when your air conditioner gives out in the middle of summer or your heater fails on a cool winter night. That’s why Air Products & Services is well-equipped with the latest tools and technology to diagnose the problem and fix it the first time. With our wide range of services, you can rest assured that your HVAC troubles will be resolved! Clean indoor air is a necessity if you want to keep your family healthy. Contaminated and polluted air often fills your home’s interior without you realizing it. That’s why Air Products & Services is dedicated to meeting your air quality needs. We have a variety of products, like AC filters, humidifiers and air scrubbers, that will enhance the quality of your living space. Turn to our experts if you are in need of resolving indoor air quality concerns in your Tarzana home! If you reside in Tarzana, CA, choose Air Products & Services as your trusted HVAC provider. We are passionate about helping customers achieve ultimate indoor comfort! Call us today at (818) 989-2030 or submit our online form to schedule a service. We look forward to serving you in your home or business!